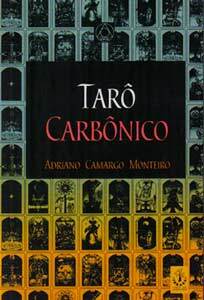 Adriano Camargo Monteiro has also written several books in Portuguese about mysticism and the esoteric order Dragon Rouge. The deck was drawn in pencil, that is graphite or pure carbon, and thus the title for the deck. 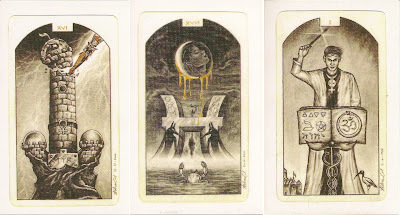 While the art is in black and white, some of the cards have details in color. The cards are small (6.5 x 10.5 cm ~ 2.5 x 4.1 inches) and printed in a thick cardstock that barely has any lamination. In the Portuguese only book Monteiro explains what every element in the cards represents for him. Each cards gets at least three pages of information. 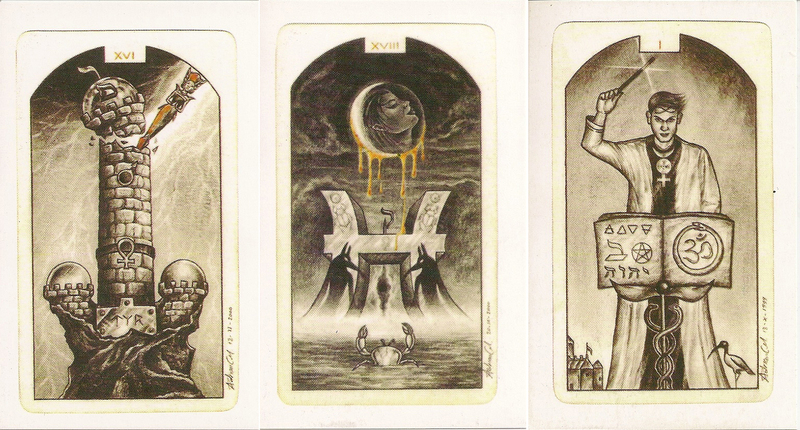 First there's a long text about what the cards means esoterically and how it relates to the spiritual journey of the Initiate. Then the artist explains what the symbols he added to each picture mean and how they contribute to the message of the card. At the ending of the explanation, Monteiro provides a list of keywords detailing what the card means in different contexts of life.